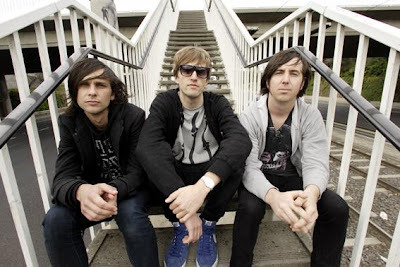 It's been a long wait since Cut Copy's amazing debut album 'Bright Like Neon Love' which came out in 2004 and shined a spotlight on the Australian dance music scene. The album featured many great tracks like Time Stands Still, Future, Saturdays & Going Nowhere. Since then others like The Presets, Midnight Juggernauts, Riot in Belgium, PNAU and many others have benefitted from having the media looking down under for other up and coming artists. I wasn't digging the preview singles Hearts on Fire or So Haunted so much before the release of their new album 'In Ghost Colours' out now, but in the context of the whole album it works pretty good I think. Chris wasn't digging the album so much when he gave it to me, so I was hesitant to post anything from them right away, but I've been listening to it the last few days in the car and at home and I think it's pretty damn good. It's produced well and like the first album it's probably one that will grow on you. Feel the Love reminds me of late Suede stuff. The voice is dead on Brett Anderson! You can pretty much get all the tracks on Hype Machine already, minus the interlude 1 min tracks. You can also stream the full album on their MySpace page. Here are a few of my favorites so far... If you like these I recommend getting the whole thing. Fine, I admit I still haven't heard the album. Just those first few singles. I'll give it a try. I liked the last one. Quien sabe, maybe I'll change my mind! Go find it. 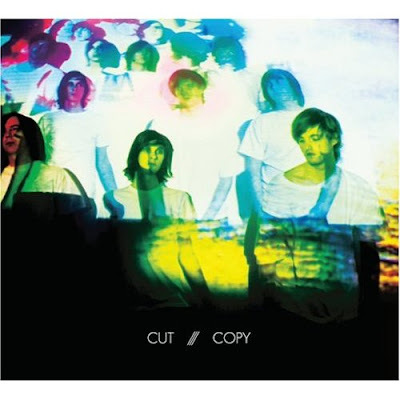 It was on their blog (yeah Cut Copy has one on Blogger too!) but it is expire. Just Google it, you'll find it.